This book starts more than a year after the last BOI book finished and spans about 6 months. It’s the story of 2 couples, love and second chances. 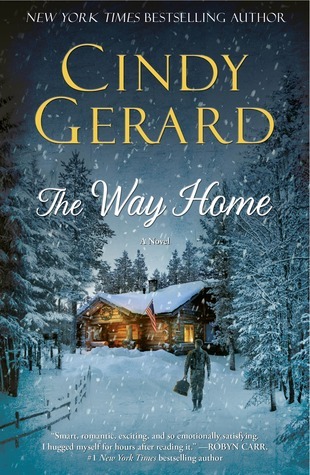 It’s a bit different from what I’m used to from Ms. Cindy Gerard, but it worked perfectly for the tone and what it portrays, there is still some action but the accent is on the building of a relationship and the hardship of war. The start is a bit slow, but you get so caught up in the characters that you can't put the book down afterwards. 1st we meet are Jess and Ty Brown(the brother of Mike, the hero of Killing Time). Jess lives in a small town in Northern Minnesota, recovering after losing her husband in the war and taking a break from her job as a trauma nurse. She hasn’t move on yet, so when Ty comes back after more than a year passed when he said he’ll keep in contact(they met on a cold and stormy night when he ran an op with Mike) Jess is skittish and stressed and doesn’t know what to think. Ty moves between visiting her in Minnesota and his company in Florida and they get to know each other. Slowly a relationship evolves and they want to take it to the next level. I already gave enough spoilers so to know more you have to read the book yourselves, it’s so worth it. Ty is a great character, honorable and not pushy. He understands Jess’ need for space and taking things slow. He’s also funny and playful. "You are done. I'm serious. I don't wnat you working like that"
"Afraid I'll be worn out tonight?" He's willing to sacrifice his happiness for the well-being of others... Jess is a little skittish and fears loving someone again. Besides all that she still grabs onto the new relationship that evolves with Ty. All in all it’s a great new book from Ms. Gerard and I recommend it with all my heart. She's one I've been thinking about trying but omg that sounds like it could be heartbreaking. Is it a tear jerker or all kind of works out okay?